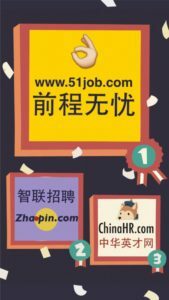 yjbys.com, under the Guangzhou Information Technology Co., Ltd., headquartered in Guangzhou, is the largest graduates Jobs recruitment website for graduates to find jobs and recruitment enterprises to provide positions. It's a huge, convenient, efficient network of campus recruitment platform. yjbys.com is always focus on college students job recruitment market. The current site mainly provides campus recruitment, social recruiting, job fairs, job recruitment will preach and other online services. You can post a job on http://www.yjbys.com/ only if you are looking for students or young graduates. Summary: Created in 2006 and supported by Alibaba Cloud Computing, YJBYS (or 应届毕业生求职网, the New Graduates Job Search Network) is a specialist job board for graduates and students. Even if the team isn’t very active on Western social media, the site does have 249 125 followers on Weibo and a WeChat phone number to contact them. As a rule, we aren’t huge fans of a site without https:// security, but YJBYs makes you feel a bit safer thanks to the certificates in the footer. Furthermore, EasyCounter considers the website ‘excellent’ when it comes to safety. The visibility has dropped since September down to 975 580 views a month, but it was over 2 million. This is much less than what it used to be in 2015 (around 3 million). It’s hard to say why fewer are people are visiting the site, especially when it has so much to offer. According to the website, more than 380K recruiters use the website and 5.69M jobseekers. Design: In true Chinese form, the homepage is quite cluttered but clear. The search engine (location and keywords) appears at the top of the page, just under some suggested services and above a long list of job offers. If you don’t feel like scrolling down the page, you can use the buttons on the side to go straight to what interests you on the homepage, and there is even a rocket on company profiles to shoot you up to the top of the page. There are some companies featured under the search engine as well as a handful of top cities (and the number of current jobs) represented by images. The different categories on the homepage are as follows: new jobs, recommended full-time jobs, recommended apprenticeships, national conferences, employment fairs, top companies on the website (broken down into different categories) and different guides you can order. Even if there aren’t any traditional filters, the homepage does help refine the search. Once in the job listing, you can sort the offers by relevance or the freshness. Job offers only take up a single line in the listing (which includes the publication time and some have a thumbs up of approval) but the opened version includes a map, company website, other job offers from the company, a barcode to follow the company on WeChat, the number of employees and other recommended companies. As for company pages, they are comprised of a personalised banner image, a description, followed by a list of job offers, upcoming events and forums (allow users to share their experience with the company like the interview process). There is a list of partnership with universities, and universities hosting upcoming events. Unfortunately, some buttons on the website malfunction. The job board objective: YJBYS aims to make it easier for students and graduates to find work and learn about their rights. Recruiter observations: It’s easy enough to create an account (by clicking on the “employer registration” at the top of the page. You can then edit your page, view recruitment services and packages and order them through your account. Jobseeker observations: Jobseekers can sign up with WeChat or an e-mail address. Unfortunately, if you cannot fill out all the fields correctly, you will be in a continual loop of sign-up pages. Once you are logged in, you can complete your online CV (education especially) to apply to job offers. If you don’t have a CV, you can choose one from the website. However, if you don’t choose fast enough, a pop-up of an animated man appears to ask you why (too ugly? Too dear? Still choosing?). The job offers: There are 1 500 job offers on the website at the moment. Special features: the hundreds of CV templates (very pretty but you must pay for them. Available in English and Cinese); the many cover letter templates (at a cost); the rocket to go to the top of the page; company following (on WeChat); the feedback on companies; salary information; interview tests; the legal section (information concerning specific jobs, dismissal, legal hours, leave, salary, contracts, etc. ); inspiring quotes; link to language learning website; the campus recruitment; the hundreds of articles; entrepreneurial advice for students; the antifraud mission; letters to graduates from the job board; a link to the popular Ruiwen website; the electronic certificate of approval for the website; the list of universities (and the companies giving presentations, including the dates); the guides; the blog; the calendar and public holidays; the courses. Verdict: YJBYS is a fount of knowledge for recruiters and jobseekers. There are so many articles on legal matters concerning work and many other topics, event listings at universities and plenty of information on the companies on the site. It’s always a bit challenging for a Westerner to use a Chinese website, but this one makes it as easy as possible. Login here for FREE to unlock access to the traffic audience, content and pricing section for more information on Yjbys.com . Do you know Yjbys.com ?